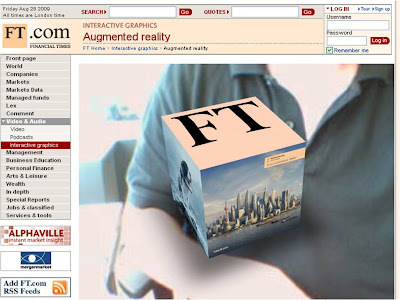 Financial Times Augmented Reality - the FT goes AR! 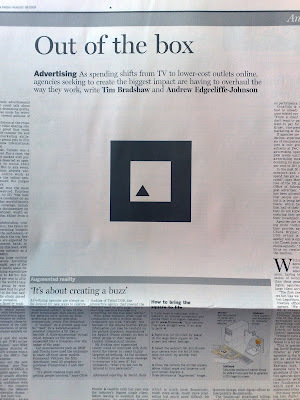 To use the Financial Times Augmented Reality execution go here: http://www.ft.com/ar and to read the full article from this mornings Financial Times go here. 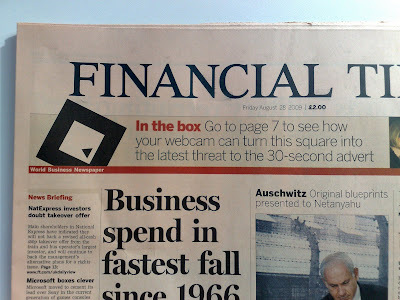 The Financial Times article is yet another sign of the progress that Augmented Reality is making and such a prominent article, in a title such as the FT, can only help drive increased use and penetration of AR (and the other 'new media' referenced in the article. 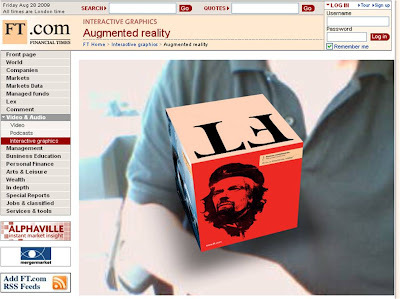 Sean Kingston Augmented Reality 3D karaoke!